Here are five ways to use search engine results and smart keyword research to help determine search intent for higher rankings. As digital marketers, we depend on search engines to properly categorize and prioritize search results based on their intention, extension, and authority. 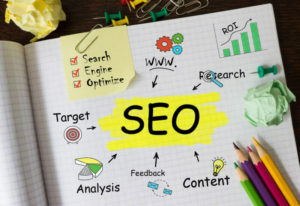 Essentially, for digital marketing to be successful, we need to trust that search engines understand what users are actually searching for and that search engines can provide the best results to meet user intent. In the field of linguistics, words and phrases are composed of intentions and extensions. Intension denotes the semantic meaning of a word or phrase, while extensions denote the objects that this phrase can be attributed to. For example, the intention of the word “sock” is meant to denote a piece of clothing we wear on our feet. The extension of this term could be used to identify multiple characteristics and categories of socks, including men’s socks, women’s socks, high socks, ankle socks, blue socks and more. Categorizing and providing the proper results for this requires massive amounts of data to provide the most informed decision about a particular search. For example, if we apply homonyms to this scenario, such as the word “apple,” we can see that search engines are forced to choose and ration out its limited real estate between the brand Apple and the fruit apple.